ControlSort is your high performance software solution for automated sortation. As a leader in sortation software technology, we have created a software system that is extremely easy to set up, use, and maintain. Our solutions include both hardware and sofware which can be used on any type of conveyor equipment. This powerful software is also easily expandable. A typical ControlSort system includes all the software and hardware to functionally operate a sortation system. The ControlSort software was designed with a very user friendly interface. This Windows based software is capable of tracking cartons and totes at speeds over 600 feet per minute. ControlSort's primary function is to sort cartons and totes on a sortation system. Our software supports most types of sorters (pop-up, shoe sorters, swing arm, pushers, etc.) and diverter mechanisms. Totes and/or Cartons are scanned by either a barcode scanner or a RFID reader. The data from the scanner is transmitted to the ControlSort software by Serial or Ethernet protocol. The data is looked up in the ControlSort database and a sort lane is determined. The carton or tote is tracked as it moves down the sorter with an encoder that produces pulses equal to a specific distance travelled. 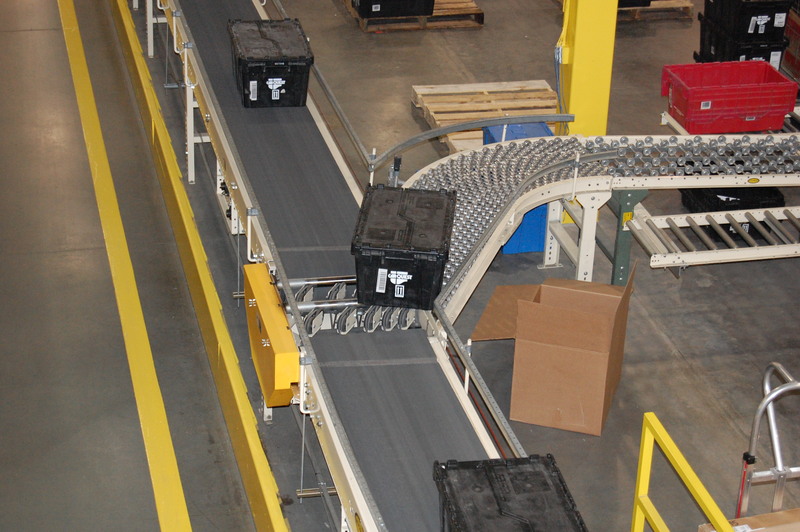 When the carton or tote reaches it's destination lane the diverter is energized and the carton or tote is diverted. Our database has two different modes of operation; Static or Dynamic. In the static mode, the database is pre-populated with lane destinations specific to certain barcode data. In dynamic mode, the database is populated by the Host system (WMS, ERP, FTP, etc.). Barcode scanners are the most common means of identifying a tote or carton. Barcode labels can either explicitly state the destination lane or they can serve as data to be looked up in the database to determine the destination lane. Scanners can communicate with ControlSort by either a Serial connection or an Ethernet network connection. The standard edition of ControlSort supports up to 20 destination lanes and can support up to 20 scanners. ControlSort can display the average and current rate at which it is receiving pulses from the conveyor encoder. Together with the user supplied distance-per-pulse value, it will display each rate in a more useful feet-per-minute count, which can then be monitored for irregularities and debugging. This version of ControlSort includes a Divert Confirmation mode that will send a message to the host when a carton or tote successfully diverts to a specific lane. This requires the addition of a divert confirm photoeye for each sort lane. Monitors the gaps between cartons and totes as they are inducted onto the sorter. When a insufficient gap between cartons is determined an error is reported to the error log. This helps with diagnosing sorting problems. When connected to the internet, this feature allows the ControlSort software to be monitored and diagnosed over the internet. From anywhere in the world our technicians can connect to your software and help diagnose a problem. Security features in the software allow this remote access only when you determine it is necessary. Includes a built in monitor that, when used with divert trigger eyes, can be used to detect a sorter belt that is slipping. 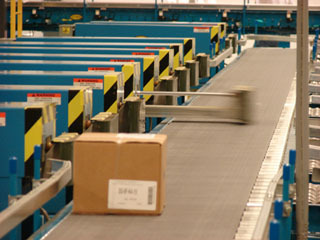 When a tote or carton arrives late at a specific trigger eye it is usually caused by a sorter belt that is slipping. When this happens an error message is sent to the error log and an alarm is flashed on the user interface. ControlSort plus supports up to 50 destination lanes and can support up to 20 scanners. This version of ControlSort includes a feature that, when used with divert trigger photoeyes, automatically tunes the timing on the sorter. When the Auto-Tune feature is turned on and a test carton or tote is sent down the sorter, the distance from the induct photoeye to each lane is automatically set and programmed into the software. This reduces the time required on the initial installation to manually measure each lane's distance from the induct photoeye. Logs certain errors and faults into an Error Log. These logs can be viewed or printed for analysis. Each error is time stamped and assists with diagnostics and troubleshooting. Allows for the addition of barcode data and lane destinations to the systems database at any time without any need to restart the system. This feature allows entire lanes to be temporarily reassigned to other lanes in the event of emergency maintenance. Maintains a day by day, hour by hour operational statistical report which counts the number of successful diverts, missed diverts, invalid barcode reads, no match look-up in the database and improper gapping errors. Report history can be viewed and printed both as daily records or comprehensively. The Advanced edition of ControlSort supports up to 100 destination lanes and can support up to 20 scanners. This version of ControlSort allows the software to communicate with AS-i networks in addition to our standard I/O. An AS-i bus network allows for distributed I/O on the conveyor system instead of locating the I/O in a central location. When used with a gapper conveyor or a conveyor that can be stopped and started frequently, such as a conveyor with a clutch brake, we can control the minimum gap. When an insufficient gap is detected on the gapper, the gapper conveyor is commanded to stop and then restart when the gap is sufficient. Some applications require that a specific number of totes or cartons be distributed to each lane and then the sorter is commanded to distribute a number of cartons ot totes to a subsequent lane or lanes. 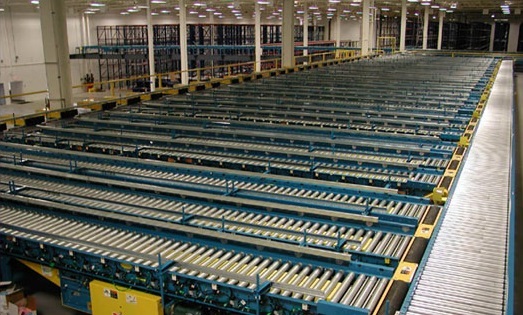 Round Robin sorting is used when cartons or totes are distributed evenly to certain lanes. This feature can be turned on or off. If you have any questions about ControlSort and how to implement it at your facility, please contact us at either of the following. © 2017 Control Electric Company. All Rights Reserved.